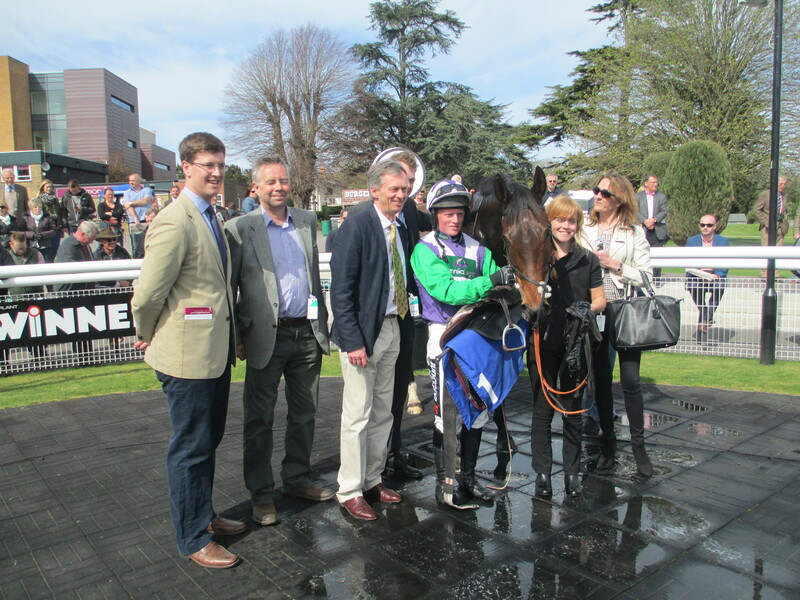 Opening Batsman and connections after his victory at Fontwell Park on Friday. By Simon Jackson at Fontwell Park. The 2013 Racing Plus Chase winner Opening Batsman continued his renaissance when winning the feature race at Fontwell Park on Friday. The Harry Fry-trained gelding raced in the first two throughout the Class 3, two mile, six furlong chase before fighting gamely to score by half a length for Ryan Mahon. The victory came at his first appearance at the west Sussex track and followed two runs at Wincanton where he finished second and then first in a brace of Class 3 contests. The return to form has seen the nine-year-old shoot back up in the weights and Fry admitted that he is not looking too far ahead with his charge, who was recording his seventh career victory. Opening Batsman’s victory was preceded by a double in consecutive races for jockey Tom Cannon who landed the Class 4 Chase on Leo Luna and the Class 4 hurdle on Very Noble. Seven pound claimer Paul O’Brien was another jockey to ride a double when he scored on Buckthorn Timothy and Xaarcet, in Class 4 and Class 5 hurdles respectively. The double was the first for the 23-year-old who hails from County Cork and both wins were for his boss Colin Tizzard, who he has been with since July. The last two races on the seven-race card were won by The Informant (Class 5 chase) and the well-backed Cougar Kid, who made a successful debut when winning the Bumper. Fontwell’s next meeting is on May 1 when they host Ladies’ Evening, which is followed by a DJ set from Radio 2’s Jo Whiley. Ladies have the chance to win £1000 cash plus a luxury hamper from House of Fraser for Best Dressed Lady.